Edmund Weber Jewelers are senior members of the National Association of Jewlery Appraisers. We can do most appraisals while you wait, and are insured if you leave your jewelry with us. All items will be identified, measured, photographed and valued. The cost of an appraisal is dependent on the type of piece, the certificates available, and how long it will take to appraise. 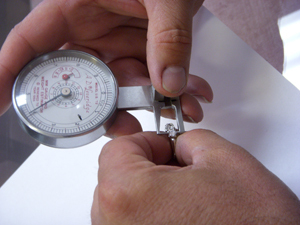 Inspect your jewelry and get any needed Repairs. Gather your documents: Receipts, certifications or old appraisals.